IF NO ANSWER ON TELEPHONE. PLEASE LEAVE MESSAGE AND I WILL CALL YOU BACK A.S.A.P. .22 Caliber Rapid 7. Very nice, tidy condition. Collection ONLY. No swaps, No PX. 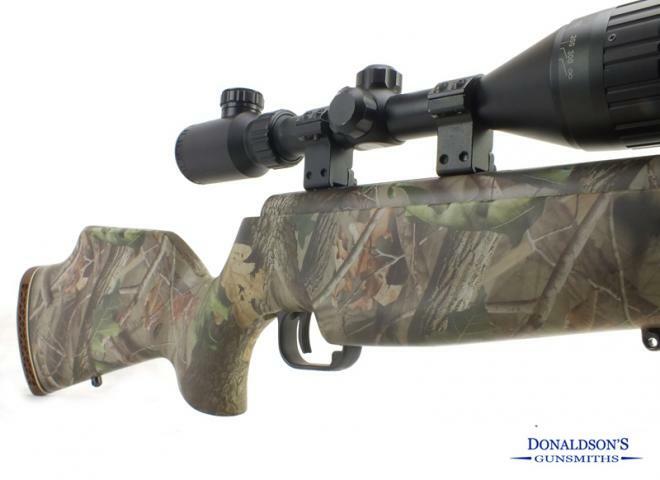 This mighty rifle stands out from a lot of the break barrels due to the legend of Theobens H.E. gas ram power source. Fully serviced with original theoben parts by our own in house gunsmith. Condition as you would expect for a rifle of this age with a few marks and signs of usage, works well. In very good condition, very good stock, action and barrel. Nice tidy airgun comes with spare buddy bottle. A really nice Mark 1 rapid 7 with the 12 shot magazine and a Dr Bobs scope rail. Very tidy gun, nice wood. FAC rated, Fitted with Simmonds 3-9-44 scope. The Gun Room offers you the opportunity to purchase an FAC, Theoben Rapid in 177 cal, 20 ftlbs with sound moderator, in very good condition. A hard to find Real Tree dipped Evolution complete with a Hawke 3-12x50 Nite Eye scope. Theoben silencer. An excellent condition Theoben Eliminator HE gas ram break barrel FAC rated (20.8 ft lbs) air rifle in rare .20 calibre. 22" barrel (including moderator), figured walnut stock with rubber recoil pad. This is a stunning rifle that has just been serviced by Impact Airguns ( Theoben ) and had the trigger tuned. 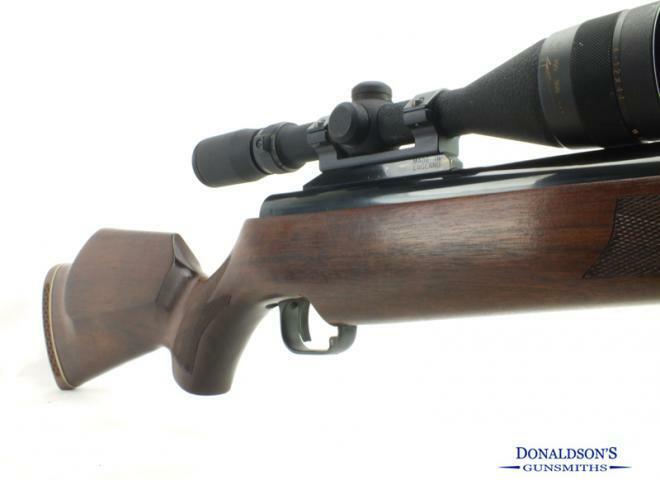 This is a very nice rifle that we have just sent to Impact Airguns (Formely Theoben) for a full strip, clean and service.